When Amy sent this to me the other day, I was really confused. 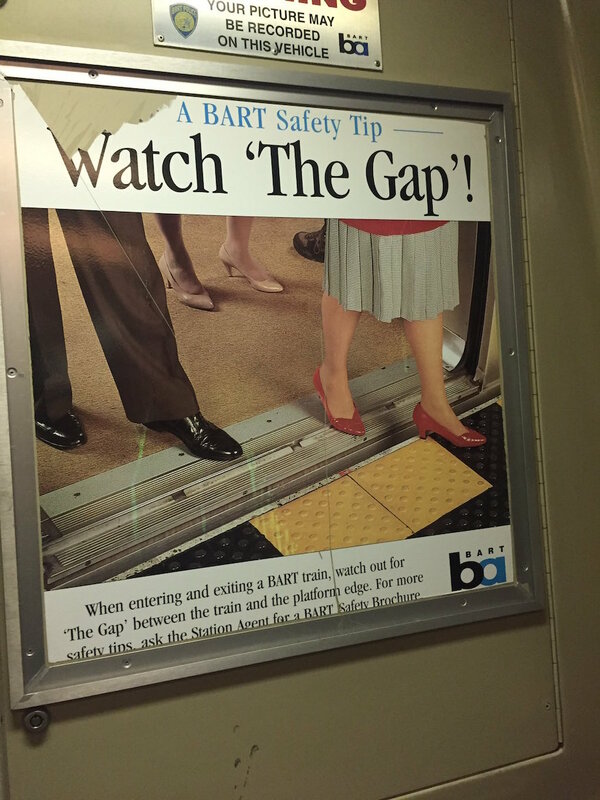 Was BART running vintage ads on purpose? Do they, like many of us, want this current year (and really, does 2017 look any better?) to not exist, and are thus choosing to live in the past? Intentionally retro… Has to be. Note the yellow tiles… Those are present only within the last decade or so. Are you certain about that? I’m pretty sure I remember the yellow tiles always being there. I’m inclined to believe it’s the original ad. Anyway, I like it.